The reports came after May held an unscheduled conference call with cabinet ministers before a parliamentary debate on the deal ahead of the vote expected on Tuesday. PM May had been widely expected to lose Tuesday's vote amid strong opposition to terms of Brexit. 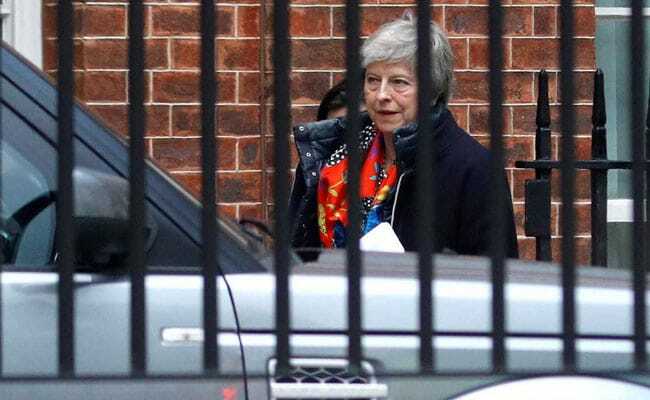 British Prime Minister Theresa May will address parliament on Monday at 1530 GMT, a spokeswoman for the speaker's office told AFP, amid reports that the government will postpone a critical vote on her Brexit deal with EU leaders. May had been widely expected to lose Tuesday's vote amid strong opposition from all sides to the terms of the divorce, and a defeat could lead to her removal either by the opposition or by members of her own Conservative Party. Reacting to the reports of a delay, Scottish First Minister Nicola Sturgeon said it demonstrated "pathetic cowardice by a PM and government that have run out of road". Another parliamentary official explained that the main route to postponing the vote would be for the Leader of the House Andrea Leadsom to table a business motion removing the vote. Leadsom is due to address parliament after May at 1630 GMT. May will now come under pressure to seek to re-negotiate the deal at a summit with EU leaders on Thursday and Friday. The EU has said no re-negotiation of the withdrawal agreement is possible although some EU officials have hinted there could be changes to the accompanying non-binding declaration on post-Brexit ties between Britain and the EU.